Two days and 1594 miles after leaving Philadelphia and I'm finally at the Badlands. 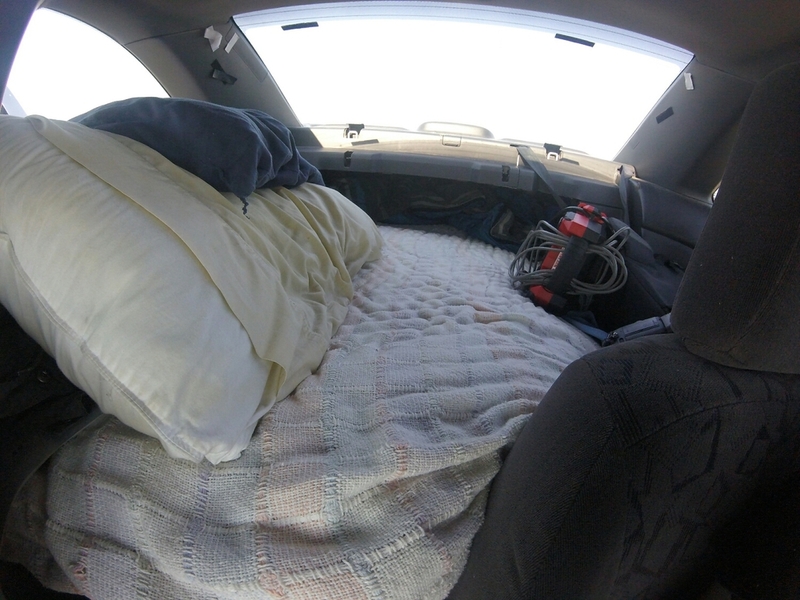 So far I've been sleeping at interstate rest stops in the makeshift bed I put in the back of my car. It's been pretty comfortable, and it's already saved me money over paying for a campsite. A couple hours before the storm hit. I never saw it coming until I checked the weather. The first night I slept in Illinois. Last night I spent in South Dakota about an hour from the Badlands National Park during a pretty crazy thunderstorm. My Honda Civic mini home was super cozy. 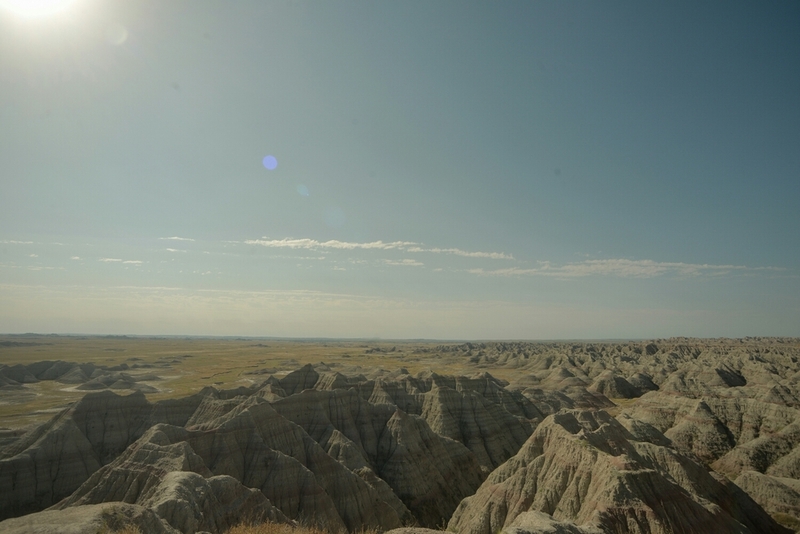 This morning I woke up to much clearer weather and drove the last hour to the badlands.